Litigation in the Commonwealth and Federal courts and administrative government agencies. Litigation is at the core of JGL practice. For 50 years our local and international clients have trusted JGL due to our excellent reputation in counseling and solving disputes in the most complete, expeditious, and cost effective manner possible. We firmly believe that an early assessment of the issues involved, and our ability to successfully litigate, if necessary, often leads to solutions outside the courtroom. We also counsel our clients to consider other approaches and/or use different forms of alternate dispute resolution, when appropriate. Fire/explosion at Capeco Tank Storage Facility, in October 2009. The Firm has extensive experience in handling complex litigation, including: class actions, maritime, labor and employment, cargo claims, antitrust, commercial claims, insurance defense, tobacco cases, oil pollution claims, environmental, civil RICO claims, patent, copyright, trademark, health law, medical malpractice, transportation, construction, commercial distributorship, personal injury, products liability, and government regulated markets. Examples of complex, multidistrict, mass tort litigation in which our Firm has participated are the Dupont Plaza Hotel Fire Litigation; Rio Piedras Gas Pipeline Explosion Litigation; Tobacco Class Action Litigation; Benlate Litigation; the Morris J. Berman Oil Spill Litigation; the Capeco Refinery Explosion Litigation; and the Puerto Rican Multi-District Cabotage Antitrust Litigation. At JGL litigation is managed with a team approach, ensuring that the right attorney, with the proper expertise and experience, is assigned to each case and task. This approach includes our clients and consultants as part of our team to facilitate the understanding of all areas of the controversy to achieve a rapid and effective solution of the problem. Representing the government of Puerto Rico, JGL obtained a favorable Judgment in what became the leading case on measure of damages for environmental maritime claims. The dormant commerce clause of the Constitution of the United States applies to Puerto Rico. TAG/ICIB Services Inc. v. Pan American Grain Co. Defining statute of limitations in demurrage cases; construing provisions of ICCTA of 1995. 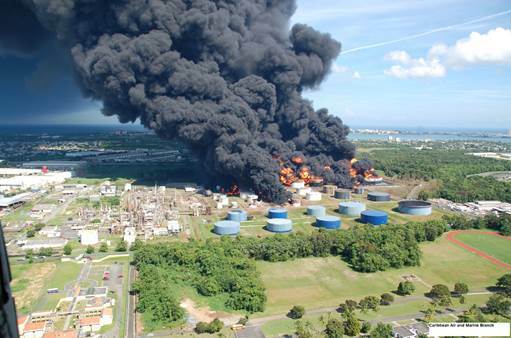 Shipowners Limitation of Liability action involving over 4,000 claims as consequence of explosion/fire in tank farm storage facility. Court applied state law doctrine that considers physicians with admission privileges at a Hospital as independent contractor, exempting the Hospital from liability. Successful prosecution of claims against manufacturer for damage to crops caused by fungicide. Member of Plaintiffs’ Steering Committee from 1996‐2001; gas explosion, 33 people killed and 69 injured. On en banc rehearing, the conviction against the general manager of tugboat managing company for allegedly knowingly sending a vessel to sea in an unseaworthy condition likely to endanger the life of an individual was reversed for failure by the U.S. government to prove basic elements of the criminal offense. Campos-Matos v. Hospital del Maestro Inc. Applying state law, U.S. District Court ruled that, after the voluntary dismissal of a medical malpractice case, subsequent communications between the attorneys for plaintiffs and defendants did not toll the one year statute of limitation and therefore dismissed all claims. Obtained Summary Judgment dismissal of all claims against marina in case filed by passengers of sunken tourist charter vessel. Court ruled that marina was not liable for purported negligence of operator and owners of vessel and plaintiff failed to establish elements of cause of action. Multi-district antitrust litigation involving US Flag carriers in the United States/Puerto Rico trade. Member of Plaintiffs’ Steering Committee; fire in hotel resulting in 97 deaths and 100 injured. Defense of manufacturer under Puerto Rico distributor protection statute.